Earlier this summer, NeighborWorks Waco partnered with the Heart of Texas Homeless Coalition to bring the second annual Project Homeless Connect – Summer Edition to the homeless population of Waco! Despite falling on one of the hottest the days of the year, there was a great turnout of both vendors and participants, with over 15 organizations being represented, and 117 men, women, and children experiencing homelessness coming out to see what resources are available to them! 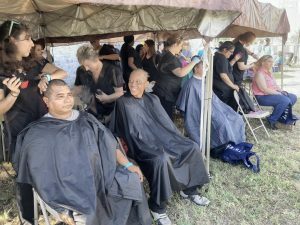 Individuals who stopped by were able to get a haircut from McLennan Community College’s Cosmetology program, clothes, shoes, snacks, and connect to resources and programs that will assist them moving forward. NeighborWorks Waco loves being able to host this event on our property, and are happy to help get individuals connected to the resources that they need most! 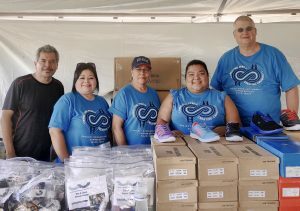 “We at NeighobrWorks Waco were pleased to be the prime sponsor and host of the Project Homeless Connect – Summer Edition for the second year” NeighborWorks Waco’s CEO and President Roy Nash said. NeighborWorks Waco became involved with this event in order to help play a part in supporting the homeless in our community, and we eagerly look forward to Project Homeless Connect- Summer Edition 2019 and are already brainstorming ways to improve the experience for everyone involved.